Paulina offers a discount of 50% on their first / introductory lesson! Paulina began her music career with piano and cello lessons at the age of five in the Piotr Swierc Music School in Poland. She continued her studies at the Purcell School of Music in Bushey with a full scholarship from the Music and Dance scheme. In November 2005 she was awarded the title of The Young Musician of The Year in Hertfordshire. Paulina is now a graduate of The Guildhall School of Music and Drama. Paulina works as a solo, chamber and orchestral musician. 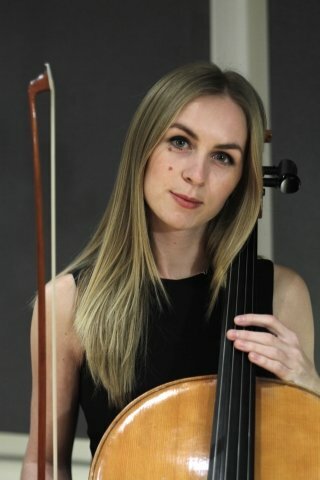 She has performed with The London Symphony Orchestra, Berlin Symphony Orchestra, The London Metropolitan Orchestra, The Light of Music Symphony Orchestra, London Soloists, Orpheus Sinfonia, Melos Sinfonia and is now the principal cellist of The London Arte Chamber Orchestra. As a freelance cellist she actively performs in TV commercials, films and studio recordings. Her most recent experiences include a recording and live music for Burberry Fashion Week 2016, films such as Cinderella (Disney) and Sorapol with Stephen Fry, a TV commercial for Sainsbury's with live music to film at a Promax screening, a PC advert and a Carling commercial for BBC. Paulina currently teaches at The Royal Junior Conservatoire of Scotland. Since 2010 Paulina had taught at The Purcell School, London Russian Music School, Dan Tien Performing Arts School, Michael Tippet Music Centre, Lambeth Music Service, London Arts Academy and Forte Arts Centre. Paulina has experience teaching children and adults of all ages, between 4 - 70 years old at levels from complete beginner to advanced level. She can also can prepare students for grade examination and teach music theory. Flexible, supportive and encouraging. Together we will find a way of learning which best suits you. Please contact me for advice, I am very friendly and will answer all your questions! I am fully CRB checked.